ANNIE KAGAN’S BIOGRAPHY: Annie Kagan is not a medium or a psychic, she did not die and come back to life; in fact, when she was awakened by her deceased brother, she thought perhaps she had gone a little crazy. Prior to this, Annie was a successful chiropractor and a songwriter who abandoned her hectic city life in Manhattan in search of serenity in a small, secluded house by the bay. This is when her brother, Billy, died unexpectedly and began speaking to her from the afterlife, upon which she agreed to accompany him on his journey through the mysteries of death. As Billy reaches out from the “other side” to change his sister’s life and the lives of those around her, he shares secrets about the bliss and wonder that come in the afterlife. Visit Annie Kagan’s website at AfterlifeOfBillyFingers.com or visit her Facebook fan page. Bob Olson, Afterlife TV: Hi everybody. Bob Olson here with Afterlife TV. You can find us at www.afterlifetv.com. This is where we search for evidence of life after death and ask the meaningful questions around that subject. Today we’re going to be talking about continuing your relationships with your loved ones in spirit. You know, we sort of talked about this in other interviews with, let’s say, David Kane. You might remember Dave Kane. He communicated with his son Nicky who had passed in a fire in Rhode Island. Bill Guggenheim. Bill Guggenheim – not that far away from that interview here – he talked about his book “Hello from Heaven” and the twelve categories of after death communications, a term that he and his wife, Judy, coined many years ago. And then Mark Ireland, also, he lost his son Brandon, and has been in communication with him in various ways. Today’s a little interesting. It’s a little bit different and you’ll find out why as we get into it. And our guest is the author of this book here. We’ll show this more than once, “The Afterlife of Billy Fingers.” Just the title alone makes you wonder what that’s all about and the author is Annie Kagan. Thanks so much, Annie, for joining us on Afterlife TV. Annie Kagan: It’s so nice to be here with you Bob. Bob Olson, Afterlife TV: Yeah, well, you know, I’ll let everybody know we had done this interview already a couple weeks ago and I don’t know why, whatever, the first time that this has ever happened. The audio recorded and the video didn’t so I thought it was such an amazing interview so here we’re going to do this amazing interview all over again. It’s kind of hard to just put an audio up when it’s Afterlife TV. It’s not Afterlife Radio. It’s not Afterlife Audio. It’s Afterlife TV, so here we are again and so if anybody’s wondering why we seem like we’re best friends, I think we are because we know each other so well now. Annie Kagan: Yeah, very relaxed, nice, lovely. Bob Olson, Afterlife TV: That’s good. That’s good. So alright, here we go. I’m going to start right off and ask you a little bit if you can tell us a little bit about your background before we even get into the story because it’s a great foundation for what we’re going to be talking about. Annie Kagan: Yeah, well, I was a chiropractor. I was always very interested in science. I became a chiropractor. I was working in New York City and after some years, I began to find that working with people who are very stressed out and in pain became quite stressful for me as well. And I decided to learn to meditate to remedy that situation. But there was a strange side effect to my meditation which was I became hypersensitive and now going to work became more difficult instead of easier, and also living in New York City, in the heart of New York City, which I had loved, the noise, and the pace, and all the stimulation just became overwhelming for me. So I decided to sell my chiropractic practice, and to sell what I had, and leave my very lovely life behind, and I found a very small secluded house on Long Island by a bay. I had really no idea what I was going to do with my life. It was pretty scary. I went back, though, to writing music, which I had done when I was a teenager. And I had no idea that my life was setting the stage for a great adventure to come. Bob Olson, Afterlife TV: Yeah, that is amazing. You know you talk about how meditation seemed to open up your sensitivity really as an end path is the way I hear it. But I wondered, do you know has this happened with other people that you know – meditation sort of causing this? Or are you the only person because you’re the only person I’ve ever heard of that sort of happening with where the meditation actually makes you more sensitive. Annie Kagan: Well I would say that one thing that people don’t understand about being a doctor first is that you are exposed to a lot of pain and a lot of difficulty. And a lot of the doctors that I know that are kind of strong and hearty body workers as well and more detached; actually have an easier time of it. And I think that the particular meditation I did and also here I was a New York woman shopping at Barney’s, doing my Pilates, having a great time, and all of a sudden I started meditation three hours a day. 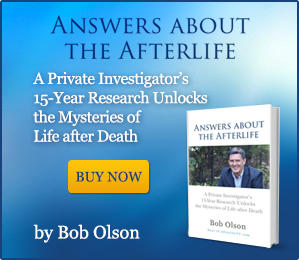 Bob Olson, Afterlife TV: And why were you doing that? Annie Kagan: Because it was so incredibly satisfying. I was focusing on this particular meditation. I was focusing on inner light, and the sounds of cosmos, and it just transported me, and I think that the amount that I did changed me. And also perhaps, just as someone told me, it was just my destiny to lead me on another path. Bob Olson, Afterlife TV: Certainly. And I have to wonder. Forgive my ignorance here because my curious mind, but I wonder if being empathic brings you into want to be what I would call a body worker; wanting to help people in this way. And yet you might have been too sensitive for it all along and then the more you did it, the more you recognized that you couldn’t do it anymore. Meditation might have become your solitude; your rescue-remedy that you clung to in order to just get through until you finally recognized, you know what? I can’t do this work anymore. Is it possible? Annie Kagan: Absolutely. And also I used to work on people for 45 minutes. It wasn’t just cracking their neck. It was a lot of energy work. I was a craniopathist, so I would work with moving the bones of the head and the cerebral spinal fluid. And also, think of it, my Long Island patients were very high-powered New York types who were very stressed out. And so you’re in this small room with this energy and you’re moving their energy around. Also, I think being very compassionate. If I run into a patient now and I tell them how hard it was for me, they’re shocked because I was so there when I was there. And like I say, just think of a great surgeon; a great surgeon is removed. You don’t want them being too compassionate when they’re working on you. They need some distance. So yes, I think what you’re saying is very true and in a way it just shows that something that seems like a problem and difficulty that didn’t work out, can lead you someplace wonderful. Bob Olson, Afterlife TV: Really. And it certainly has. I relate and I’m sure a lot of our audience members relate as well. I mean we have a lot of psychics and mediums, and they call themselves all sorts of other things: intuitives, insensitives. But we have a lot of people in the audience who feel as though they’re an empath in one way or another and probably can relate when I say – you know, if I go to a party, or if I go to a concert, or a sports arena with lots of people around, I tend to be exhausted when I get home. And when I go to the chiropractor, I love my chiropractor, she’s wonderful, but she works on two people at the same time. When I first started going to her, I would be laying down and there would be some stranger who was feeling horrible, and in a lot of pain, and complaining a lot about their life, and I would just pick all of that up, and I felt worse when I left the chiropractor’s office than when I started. And then when it happened to me, I was completely shocked and blown away. But we do. We all pick up energy and I think even higher energy that I’m picking up now from the book. You have to balance that as well. So I think what you’re saying is a great point to think of things as energy, and energetic, and how it affects you. Bob Olson, Afterlife TV: That’s right. And the more we learn about these subjects, the more we recognize that everything is energy. Now, tell us a little bit. What is this book about? Why don’t you just start there because what a fascinating story it is and just tell us the beginning and how this all started for you. Annie Kagan: Okay. Well I love in your email to me you call it a true spiritual thriller. Bob Olson, Afterlife TV: Yeah, it is. And I’m like half sleeping and I’m going, “Oh God, I must be dreaming Billy,” because you can’t be hearing; you’re dead. And then he said, “No, I’m here. Get up. Get up. Get a notebook.” And when I got out bed and got a notebook and went back and started writing what he was saying, I knew that I was awake because I was moving around. And then the first thing he did was assure me that he was really wonderful, nothing painful for him because he had been hit by a car, and so that was very traumatic. And when someone dies violently, you have a lot of concern. So he said, “No,” as soon as he was hit by the car he didn’t feel pain. He was drawn up a beautiful chamber of silver lights that healed all of the pain he had suffered in his entire life and that he went up the chamber and he saw my dad in the chamber, who was joking around with him, which would be what my father would do from the other side. And then he was born into a divine universe where the lights had characteristics of compassion, and kindness, and love, and understanding, and he was drifting through these beautiful galaxies. Bob Olson, Afterlife TV: What an incredible birthday present first of all. And this is only three weeks after his passing. Obviously, you’re in deep grief. I’m sure that you must have questioned is this just my imagination, something that I feel like I need? Is this a dream? What kind of things went through your head? Annie Kagan: Yeah, well, first of all, when he was actually talking to me, and always when he talks to me, I’m in a state of euphoria because his voice carries the energy of his world into my world, into me. So I wasn’t feeling grief while he was talking to me. I was feeling bliss. But then after, when he leaves – I’m never skeptical when he’s there because it’s too amazing. And then when he left I’m like how could somebody be talking to me from another dimension? How can my bad boy brother, the last person who I would be expecting to be giving me this beautiful vision and this expanded cosmic secret, Billy, how could this be happening? Maybe I’m going crazy. Well, not like I’m going crazy because I’m not crazy, but maybe somehow my grief is so enormous that my mind is like inventing this to make me feel better. So I was very skeptical and I was going to find out if he came again because I’m very scientific and I need to know the truth. If he shows up again, I’m going to be very skeptical and I’m going to ask him a lot of questions. Bob Olson, Afterlife TV: Certainly. Annie Kagan: I kept that little notebook near me at all times just in case. Bob Olson, Afterlife TV: I don’t blame you. I don’t blame and I think a lot of people would have thought the same thing, you know. It’s not uncommon from my experience, even my personal experience, you know, we have these amazing experiences just like you say while we’re going through them, there’s a sacredness to them. And then after them, our mind gets in the way and our mind starts to question everything. 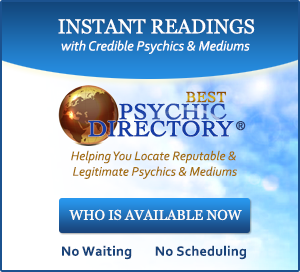 Even after my first reading with a psychic medium I had so much evidence, because it was a three-hour reading, so much evidence that came through. It was undeniable. It wasn’t the next day, but it was over time, over a certain number of whatever, days or weeks that I started to question things, and I needed another reading. And I’m sure you were like I hope he comes back. Annie Kagan: I hope he comes back because I’m going to really check him out. But of course, you know, he comes back and the same thing happens in terms of the energy. It’s so strong that I’m no longer doubting him while it’s happening. But the interesting thing was he knew I was doubting him because on the second visit he said to me, “You know what? I understand this is really weird for you, so what I’m going to do is I’m going to prove to you that this isn’t just your imagination, that it’s really me.” And he did. He proved to me over and over again that he was real. Bob Olson, Afterlife TV: Alright. Before we get to the proof because I want to talk about that, before we get to that one thing I want to mention is the first time he came to you I remember reading in the book that you were waking up. You were sort of in the waking sleep state. Do you think that helped him be able to connect with you in that way? Annie Kagan: Very much so. Annie Kagan: I think your mind isn’t so prominent. You’re more into you intuitive lower brain functioning, and I think that that was very helpful. I think that has happened to a lot of people. So yeah, it’s an amazing state for them to be able to communicate with us. He came to you, if I remember correctly, that’s sort of how it started off. Even some of the proceeding ones were still in that sort of after you woke up or as you were waking up type of state. Bob Olson, Afterlife TV: And then over time, you were able to do it at other times of the day. Is that right? 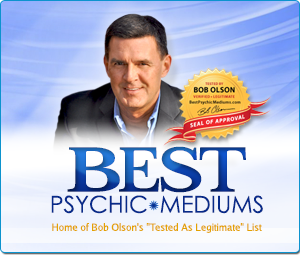 Bob Olson, Afterlife TV: Would you ever consider yourself a psychic or a medium before? 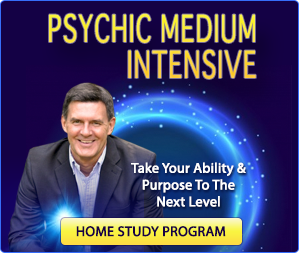 Had you ever taken any kind of classes to be a psychic or a medium? Annie Kagan: No, just meditation. I was talking to an expert in the field the other day. I don’t know if you know Margaret Wendt, who was on TV, and she knew George Anderson. We were talking a little bit about why this happened to me. And they realized that I had been dealing with invisible and energy all my life because when you’re a musician, music is invisible. It’s energy. It’s vibration. Working with people’s body is vibration. Meditating is energy. So I think that in a way I’m working with energy all my life. And also, I’ve always been a super sensitive person. Billy even says that to me, you know, I was always the sensitive one. I was always a very sensitive, aware type person. But I never was psychic. 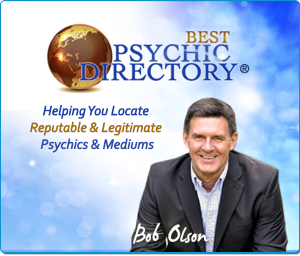 Bob Olson, Afterlife TV: And when you first started, there are all the different clairvoyance, clairaudience, clairsentient, you originally started just hearing him, correct? Annie Kagan: I heard him. I heard him not telepathically. I heard him outside my head really clearly and then he goes through different stages in the afterlife, and as he gets deeper into the afterlife, he communicates in different ways. So at first I heard him clearly. Then he went into this phase where he was more formless and I would wake up and I would see this beautiful blue golden aura of light and I would look at it and focus, and then I was able to hear him. And his words were very drawn out. And then later on as he went into the deeper realms, I started to be able to hear him like through the top of my head. And then I was even able to get some glimpses of him sometimes when he got more form. So it always was changing. Bob Olson, Afterlife TV: Yeah, alright. I know people are like the proof. Don’t forget the proof. We’re going to get there. First of all I want to mention this is not your young little brother. I mentioned a couple of interviews I’ve done: Dave Kane, Mark Ireland, the lost their sons, and it’s not that uncommon that people who have sort of had these experiences, not really like yours very often, though that has happened, usually people communicating with their children, their deceased children through mediums or something like that. But when you see a book like this, it usually has to do with a child. We’re not talking about a child here. How old was your brother when he passed? Annie Kagan: He was 62. Bob Olson, Afterlife TV: Sixty-two. Annie Kagan: He was 62 and he was my older brother. He was my bad boy brother. And I call him that because ever since I’m a little girl, Billy was known as the bad boy and I was the good girl. So I was the good student, the talented one, and he was the one who was setting fire to the school cafeteria. Bob Olson, Afterlife TV: There’s Billy. Annie Kagan: Yeah, that was Billy. That is Billy. Bob Olson, Afterlife TV: Jumping up in the air with enthusiasm for life. How old is he there? Annie Kagan: Oh, he was 17 and he just got his first motorcycle. Bob Olson, Afterlife TV: I love that. I got my first motorcycle. That’s great. Now you also mentioned the addiction issues and I think it’s another thing that makes this book special is that it also covers those issues. One of the things that it covers about those issues in almost a subconscious, very subtle way, is that despite whatever bad boy things he did, despite whatever challenges he went through, he was having an afterlife experience that any good girl, good girl sister would expect to have. And it was wonderful, beautiful, gorgeous experience the way he describes it, correct? You know, we all have these theories of what we’re doing and how life should be. If I just think this, my whole life will change. And he’s like, “Nonsense. We don’t know. Life’s a beautiful, wonderful, mysterious impulse to be tasted and released.” You know, so I’ve become a lot less judgmental. And I think people who have addition problems should be less judgmental of themselves. Bob Olson, Afterlife TV: Yeah, that’s right. One thing that is recognizable in this story is that Billy lived a lot. He lived a lot. He lived a lot of life. Some people who play it much safer than Billy did, don’t have as many experiences because they’re playing it safe. He certainly did not play it safe and a lot of people maybe did judge him in different ways because of the way he lived his life. But he certainly lived a lot of life. Is that sort of the right picture? Annie Kagan: Oh, yeah. He lived life. He loved life. And actually he loved people. He loved nature. He had a lot of music in his life and I think he encourages us all to follow our dreams and most of all not to live our lives by other people’s beliefs. He’s really strong on that point that clean out your belief system. When we’re on earth, we need some beliefs to guide us. But make sure they’re your own beliefs. How does he put it? Don’t go running around fulfilling other people’s ideas. And also, what’s really helpful to me is he talks a lot about the shadow side of life. So he says, you know, because I’m the good girl, I’m always waiting for life to be perfect. If I just to X, Y, and Z, everything will be wonderful one day. That one day that wonderful one day will come. But sometimes I have a beautiful time and he taught me that life on earth is a world of duality and you can’t have the sea without the storms. You can’t have the wind without tornadoes. You can’t have the earth without quakes. And so when the shadow comes along, it doesn’t mean that you’ve done something wrong. It’s just the nature of life so embrace it. And guess what? Enjoy yourself as much as you can anyway. And I do that now. I try to be more like the bad boy. Bob Olson, Afterlife TV: Yeah, I mean, that’s nice. Did he talk about regrets from that side of life? Did he talk about regrets at all? Annie Kagan: Yes, I regret to say that he didn’t have any regrets. Bob Olson, Afterlife TV: He didn’t have any regrets. Annie Kagan: It would be nice to be able to say, “Oh, he was repentant,” or whatever. But actually he says that he kind of – now I think that this is one of the differences between near-death experiences and what Billy’s reporting because a lot of near-death experiences, when they’re talking about their life review, they talk a little bit about when they cause pain to other people, they feel the pain sometimes. And Billy says he has a very Buddha review of his life where he’s detached. He’s watching it. It’s fascinating. He gets to go down all of the different roads he didn’t get to live. In other words, if you’re in love with someone and don’t get to marry them, you get to see what that life would have been like. If you wanted a different career, you get to see what that would have been like. But then he says, “You know what? It’s kind of getting boring looking at all this stuff because it’s much more fascinating being here in the now, in the moments.” And, you know, he takes us all into the moment and that’s what I love about it. It’s not about good, and bad, and regret. It’s really about energy and vibration. Bob Olson, Afterlife TV: You said a lot right there – a lot I wanted to comment on. Every near-death experience is different. That’s what’s great about it. Some people do talk about feeling a sense of regret from things that they did and others talk about there are no regrets and everything’s just an experience. Sometimes, though, when you’re talking about the life review, whether it be someone who had a near-death experience or if it’s someone communicating with a loved one through a medium we’ll say and getting those messages about the life review and feeling regret. Sometimes I think it’s with the consciousness of the receiver. Do you know what I mean? When it’s coming through a medium, sometimes I think the consciousness of the surviving loved one, the family member who’s still here can maybe only handle so much and that’s the reason it comes through in that way. They’re giving them wonderful messages and teaching them about the spirit world, but they know if they try to go from A to Z, it’s just a little bit too much, or even A to M.
So to say that there are no regrets and everything is just an experience, makes a few people’s heads explode. Annie Kagan: Well I think that’s a really interesting point and I think that one thing that’s a little different between this experience and near-death experiences, or when somebody just dies is that when you have a near-death experience, you’re coming back to your body and you’re remembering it. And it’s through your own belief systems, and through your own body, and through your own lenses. But Billy, if you read the book and you look at the proofs, and you think, “Wow, this really could be true.” Billy’s there and it’s in real time that he’s giving me information and I think that possibly people have regrets if they’re going to come back because they want to be a better person while they’re here. Billy’s going on. He keeps going on. I don’t know. I don’t really understand it either. It’s pretty mysterious to me and he does say that you can’t really understand it until you go to the other side because in a human way of thinking, it doesn’t make sense. Bob Olson, Afterlife TV: Yeah, it’s not possible. You’re right. No matter what, we’re interpreting it, whether it be you through what Billy’s telling you, a person whose had a near-death experience and comes back here, we’re interpreting it through the human mind. Annie Kagan: There you go. Bob Olson, Afterlife TV: Some of the people who have described a near-death experience, I think most accurately, just constantly are saying – really there are no words for me to accurately describe what I’m about to tell you. This is what I love about doing this show is that we get to hear all these different experiences, including yours, and people get to make up their minds for themselves. And when I talk about the level of consciousness, they get to make up their minds depending on where they’re at. Annie Kagan: Totally. What’s so interesting to me in this journey that I’m on now is how controversial it is to say that divine consciousness is much better than the human mind. We all want the other side or the divine source to be like us instead of a healing, all-loving entity or energy. So to say that it’s a place of healing, God is all about healing, it’s very controversial. It’s much less controversial to say God is angry, and spiteful, or vengeful. That’s a good lesson to learn that our mind is not the larger consciousness. That’s not how you connect to it. Bob Olson, Afterlife TV: And I will say now, and I mean this as a compliment, I read maybe the first third of this and everything was right in line with many people I’ve interviewed on-camera and off. I started interviewing people about near-death experiences long before I started doing it for Afterlife TV, but everything was right in line with everything. And then as I got into the next two-thirds of the book, there were so many things that went in different directions, very crazy like what I would consider, “Wow, that’s just crazy,” in a positive way. But that even challenged me. I would be like, “Oh man, that’s – I don’t know.” I had to keep reminding myself this is what it’s all about. This is what I’m all about to show people different ideas, different possibilities so that everyone can make up their own minds. And so then I started to get excited about the things that Billy had talked about that were very new to me. I even might have had skepticism about but there was a time when I didn’t believe in the afterlife. And so there’s a lot of new stuff in here that allows people to sort of see things in a different way. And again, I keep repeating this but it’s so important, decide for themselves. If all I did was interviews where everybody was saying the same thing, in one way it would make people feel very comfortable, right? Oh, it’s all the same. Everybody’s saying the same thing. We don’t grow that way. Annie Kagan: Absolutely. And I think that Billy’s talking from levels that maybe haven’t been talked about before. Annie Kagan: They’re all about evolution. It’s all about the soul evolving in ways beyond the super world. Oh yes, I think that that’s really important. Billy mentions this place that he calls the supra world. And that’s the place that most of think about as the afterlife. So you meet your relatives, and there’s a certain degree of learning, and things are a little bit familiar. But he goes way beyond the supra world into different realms where the vibration is much, much higher, and I think that that might account for some of the really unique things. But every time he gives a unique thing, he also gives proof. Bob Olson, Afterlife TV: Yeah, again, we’ll use that word proof. Proof for you because, again, we all get to choose for ourselves, and what’s proof for one person might not be proof for another because it’s subjective, right? And we discussed that in the last one but it’s important to mention it again here. But it’s evidence and evidence is what we’re looking for. Afterlife investigators, spiritual detectors are all looking for – you call yourself a cosmic detective, correct? Annie Kagan: A cosmic detective because he proved it to me in ways that I just couldn’t doubt anymore that he was real. In the book I try to take the reader by the hand and let them come along with me into the experience so that they can learn themselves and see what it was like to have this experience. Sometimes Billy would be dictating something to me. That also was a different thing when he dictates to me. It’s really fast and complete. So I’m sitting there writing and my part, because the book is a conversation between the two of us, my part I labor over it. I put this word here. It’s very, very different. But sometimes when I’d be writing I’d be thinking this is too fantastic. I’m making this up. I myself was skeptical and then he put a clue in it. Like for example, in the writing he’d say something like, “Now I’m receiving a great blessing. I’m receiving the blessing of hota, hota,” and I have this mystical feeling in my third eye from this blessing. And then I’m saying, “Okay.” He has me look at hota. What is hota? I Google “hota,” and I see it’s the first word of an ancient Egyptian blessing that was given to people in the afterlife before they were given the divine nectar. And that was exactly was happening to him. So for me, every time that would happen it would be like an electric shock went through my whole system because I was also skeptical. How could this be happening, right? He would tell me these things, and a clue, which turned out to be correct. Then my entire system went on overload and I was like I have to clear it out of certain ideas that I held. Bob Olson, Afterlife TV: Yeah, right. Well, and that’s it. Again, we keep talking about near-death experiences but people with near-death experiences they only go so far before they’re turned around and have to go back. I understand that they ended up with a great knowing than what they actually experienced. But what we’re talking about here in the story with Billy is as he continues well beyond someone’s re-entry into the afterlife or the spirit world; whatever you want to call it and it continues to go on. A lot of people talk about the different levels that our spirit goes through. So anyways, he gets into those. I don’t think he calls them levels, but he definitely goes through different experiences as he’s going through there. I want to go back and ask you. You said, “Divine nectar.” What is divine nectar? Annie Kagan: Yeah, that’s pretty deep into the story. He receives something that he calls divine nectar when he’s in the realm of the golden cave. He’s in a beautiful golden cave, actually with a very high divine being, and there’s a beautiful stream of nectar. And on the stream there are the flowers of all his past lives are there. And he’s offered to drink this nectar. In his bad boy way he says something like, “Wow, I’m barely ready to drink but I’m going to drink.” Because as he’s going through all the realms, his vibration is getting higher and as he drinks the nectar – I don’t want to spoil the story, but he’s ready to go onto like a higher realm that enables him to go somewhere else. Bob Olson, Afterlife TV: Yeah, okay, alright. Alright, that’s great. Do you find as you’re communicating with him that the higher the realm he goes, it’s more difficult or easier to communicate with him for you? Annie Kagan: It depends on the realm. I think that as the journey went on he exercises to help balance this world because, you know, sometimes people tell me, “Oh, I’m so envious that you had this trip.” And I’m saying, “Oh, please don’t be envious,” because it was very hard, especially at the beginning because people who have near-death experiences say it was hard to come back to this realm. But I’m going with him and coming back. Raymond Moody calls me like I’m a walker between the worlds. And so towards the end of the book he would give me these wonderful exercises to do. Like one thing was I would lie down and he would have me picture red lights going from my navel deep into the earth and my feet into the earth. So it actually became much easier for me even though it was deeper because I was used to traveling back and forth. Bob Olson, Afterlife TV: Yeah, yeah. Okay, alright. Alright, we’ll get to where we promised. You know, we did talk about some of that evidence that turned into proof for you that Billy gave you to help prove to you that he was really there. Why don’t we give a couple of examples of some of the things that he gave you that you couldn’t possibly have known about otherwise? Annie Kagan: Now we’ll start with a small one that happened at the beginning. I didn’t tell a lot of people about Billy in the beginning and one of the people I told was my friend Tex, whose life he affected really greatly through the course of the book. And one morning – this was the first time that he spoke to me that it wasn’t dawn and I was making something to eat in the kitchen and all of a sudden I hear his booming voice again coming from the ceiling, which was quite shocking because I wasn’t expecting it. “Tell Tex show me the money.” I’m like, “Oh my God. Okay,” and I call my friend Tex. I know this sounds really nuts but Billy says, “Show me the money.” What does that mean? He said, “Oh my God.” Just this morning we were all wondering Tex, me, whoever I told, is Billy real? What’s going on? It became a mystery for all of us. And then she gets out of the shower and I call her and I say, “Billy says show me the money. What does that mean?” So we both flipped out and later on he actually writes a letter to Tex from the other side to help her. It was a really important letter for her to get. And her brother, Pat, had been killed when she was a teenager in a plane crash. And she said, “Oh my God. My mother’s a Malone and my grandfather’s name was Patty Malone.” I didn’t know that so that’s the kind of things psychics do, but that’s not something that I would ever do. That was stunning to me. And then, of course, I think the most dramatic story that people can understand and identify with is the story about my husband where my husband wasn’t feeling well and we weren’t very concerned because he had just had a check-up about a month-and-a-half before – total physical, but he was having digestive problems. And he went to the doctor. The doctor said he was fine. He gave him some antibiotics and said it was just a bug. And I got up the next morning and all of a sudden in a really wicked voice Billy says, “Steve is really, really, really sick.” And then he laughed in this really horrible way like Vincent Price would have horribly. I was so upset and angry like what are you doing? He never did anything like that and is this really Billy? This is scary. This is the first time anything was ever scary and I don’t like this. And I said to my husband, “Why don’t you just go to a general practitioner doctor, you know, just go there. I don’t know why.” Cardiogram not good and the next day he’s in the hospital preparing for open-heart surgery. Bob Olson, Afterlife TV: Oh my goodness. Wow. Annie Kagan: He didn’t have a heart attack so there was no damage to the heart. How do you explain that? Bob Olson, Afterlife TV: In that way, Billy saved his life and you as well because you trusted in what he said to you. How does Steve feel about that? Well he knows now. Obviously, he knows now. Annie Kagan: Of course. I told him as soon as he was in the hospital but one of the most amazing things that I loved is that in the last years of Billy’s life his addictions were really bad. And I was dealing with them for a long time and I was getting sick from trying to help him and not being able to. And my husband, Steve, took over the job of helping and he made sure he had some money because Billy was homeless at this point. If he wanted to go to a hotel, if he wanted to eat, whatever it was. Steve was the last person who helped Billy. Now it’s like Billy came back and returned the favor. It was awesome. Bob Olson, Afterlife TV: Yeah, it is awesome. Annie Kagan: It’s really beautiful. Bob Olson, Afterlife TV: Yeah. Anybody would be hard pressed if that happened in their life to not consider all of that proof. And this keeps you going, right? As you’re going through, any skepticism that you’re having, it’s these kinds of things. Even like the stuff you had to Google, and then you found out it was a real word or whatever. That keeps you going and you keep getting it. You keep getting these little things that he’s telling you about other people. He’s getting these things that you have to Google and you find out they really exist. Annie Kagan: Well, you were a detective and I felt like I’m waiting for one of these things to be wrong. Over and over again he just proved to me in these fascinating little ways that made me a cosmic detective that he was real. Bob Olson, Afterlife TV: Yeah. That’s what’s so nice about it. I have a friend named Phoebe, from England, and she had just one of these things happen one time. Her husband was 35 years old and he died. She was just walking along and she felt like she was sort of having a conversation with him in her mind. She heard her own voice but she felt as though it was him. Bob Olson, Afterlife TV: Yeah, and finally she was just – she was skeptical and so she said, “Tell me something that I don’t know so that I can know that you’re really talking to me.” And so the next thing she hears in her head is your mother wants to buy a new blue dress. So the next time she sees her mother she asks her about it. And her mother says, “Oh, yeah. I’ve been going to this store and looking at this blue dress but I can’t get myself to buy it but I just keep going back there and I can’t get myself to buy it.” It helped Phoebe trust that she was really communicating with her husband David, and that was just one example. You had so many of those. Annie Kagan: Yeah. In his book, Bill Guggenheim, “Hello from Heaven,” he has a very particular category called evidentiary after death communications where you’re given information that you didn’t know that proves to be correct. But here’s the really important thing, it’s not so much that Billy’s real. What it really means is that if Billy’s real, if these communications and many, many people have them – oh my God, if you look on my Facebook page, in three months I had something like 25,000 people and they want to share their stories because our society – it’s a little taboo in our society to have these experiences. People will tell you you’re crazy or that’s not such a big deal. But it is a big deal. And people want to a place to be able to share it. I forgot what I was going to say. Annie Kagan: I know. I know. I remember. Bob Olson, Afterlife TV: You got it? Alright, here we go. Annie Kagan: It was good, too, it was important that when these people are reaching out to us, they’re comforting us. They’re trying to help us with our grief by saying, “We still exist. The love still exists. And guess what? We’re eternal. You’re eternal.” It really goes beyond just the little message. It goes into you’re an eternal being. You have a soul and all the implications of that. Bob Olson, Afterlife TV: That’s beautiful and, you know, is there anything that we haven’t covered? I think that’s a great way to end it but is there anything that we haven’t covered that you would like to say to people? I mean, obviously, there’s so much more to this story than what we’ve been able to touch upon. But is there any one message for our audience, whether it be for the grieving or for the spiritually curious, or what have you, that you would want to leave with us that we haven’t touched upon yet? Annie Kagan: I think my favorite thing that Billy has taught me is that every cell in my body was made on a star in a super nova, literally. This is not poetry. We’re forged from stars and the same cosmic intelligence that runs the universe beats our heart; breathes our breath; heals our wounds. We’re magical, cosmic creatures. And by looking at photos from the hota telescope, which I do a lot now after he told me to do it, those mysterious, wonderful galaxies and dust clouds. And then close your eyes and imagine that they’re inside you and all around you. Forget about your problems for a moment and become like a cosmic being. And doing that changes you. Many people have reported how expansive they become. So I love that. You’re made of stars. Bob Olson, Afterlife TV: That is beautiful and how many of us have not looked up at the stars and just felt a strange connection with the oneness of all that is. My last interview, Don Miguel Ruiz, had an incredible epiphany that changed his whole life by doing that, by looking up at the stars. Bob Olson, Afterlife TV: That’s beautiful. That’s great. That is a great way to end it. I do want to ask your website www.afterlifeofbillyfingers.com. Annie Kagan: www.afterlifeofbillyfingers.com. And please go to the Facebook page. On the Facebook page on the website you can download a free chapter and get a little taste. Bob Olson, Afterlife TV: Oh, nice. Annie Kagan: Barnes and Noble, Amazon – it’s available. And thank you so much for having me as your guest. Bob Olson, Afterlife TV: Well, it was my pleasure and I just want to nail down if people go to your Facebook page, one of the great things is you give little quotes from the book regularly. Annie Kagan: Quotes with photos; it’s very inspirational, and actually what’s happened is conversations – all these conversations about the quotes and people’s experience that they had with the book because people feel that they kind of have a spiritual experience when they read the book and it’s different for everybody. So I highly recommend the Facebook page so you get a little flavor of what’s going on here. Bob Olson, Afterlife TV: Me too. Me too, and we’ll have links for that all below this video. The last thing I’ll mention – we’re going to put at least a link to it, or we’ll put the video down below. It’s a little promo that a friend of yours had done for the book – a little three minute video that I think people will really enjoy as well. So they’ll know that’s all about and get a better sense for the book if they’re wondering about it and still thinking is this something for me or isn’t it that might help them? But anyways, Annie, this has been great. I’m thrilled to have been able to interview you twice. Annie Kagan: Yes. It was fun each time. 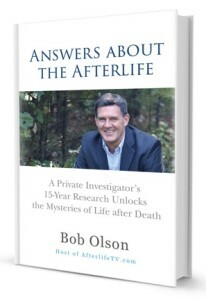 Bob Olson, Afterlife TV: And maybe in the future we can have you back and you can talk about new things that have happened since the book has come out, and different things you’ve learned, and all of that. I really enjoy it. Annie Kagan: That would be great. Bob Olson, Afterlife TV: Alright, well Annie, thank you so much again. I wish you the best of luck with everything. Annie Kagan: Thank you, Bob, you as well. Bob Olson, Afterlife TV: Alright, bye-bye now.